They’re the sport side-by-sides you’ve been waiting for. The best-built, best-engineered vehicles in their class. 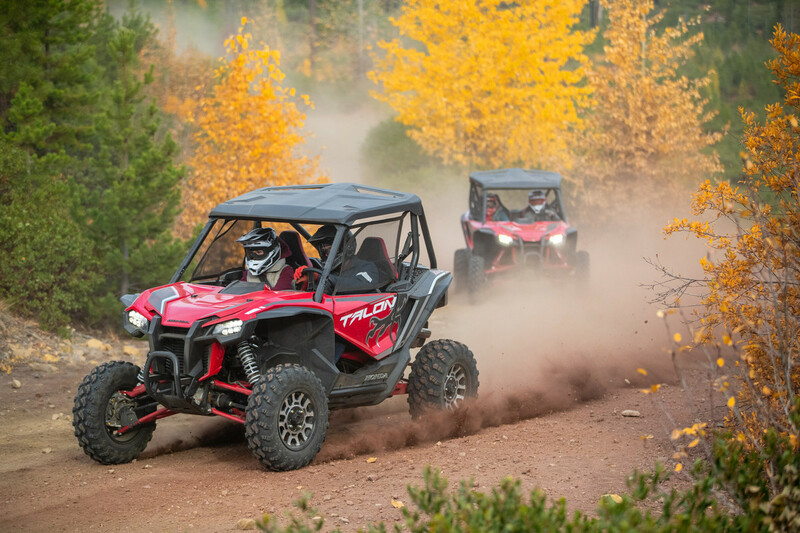 Machines that take rider comfort, balanced performance and build quality to the next level. Full of technical innovation and infused with Honda DNA. 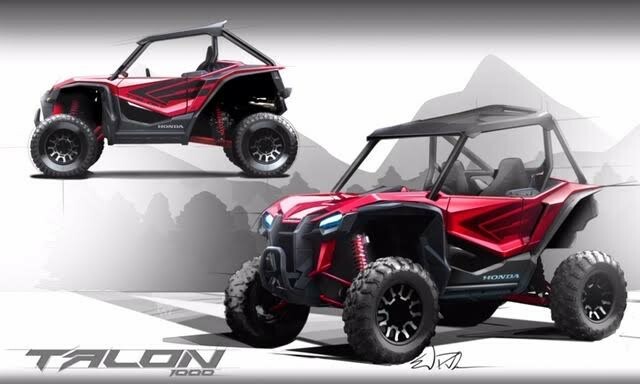 The new Honda Talon 1000R and Talon 1000X, two of the most anticipated vehicles in the off-road world. From the minute you buckle in, they’ll amaze you. 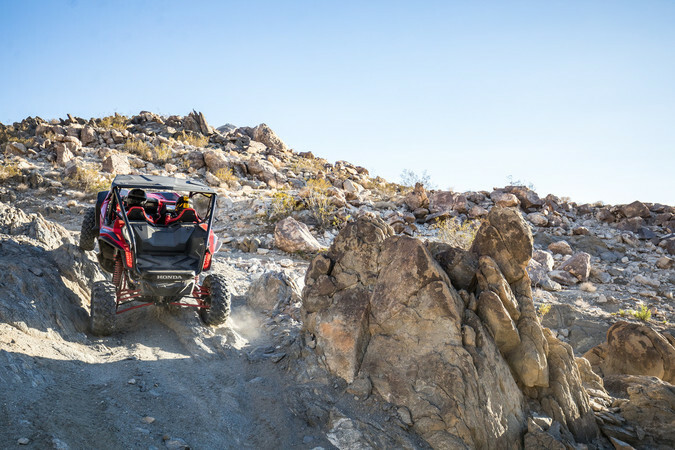 Life is better—when you’re experiencing a new Honda Talon. The system also incorporates an Electronic Brakeforce Distribution system (EBD), which strategically applies braking force to optimize stability under braking, minimizing rear-chassis lift when in two-wheel drive.To simplify re-starting after stop on ascents, the driver has the option of pressing a Hill Start Assist button (HSA) on the dash, thereby temporarily holding the vehicle in place without needing to apply pressure on the brake pedal. As a result, more mental bandwidth can be dedicated to effectively modulating the throttle to resume motion. As a separate feature, when the driver brakes aggressively, the vehicle hold gears longer for real engine braking. 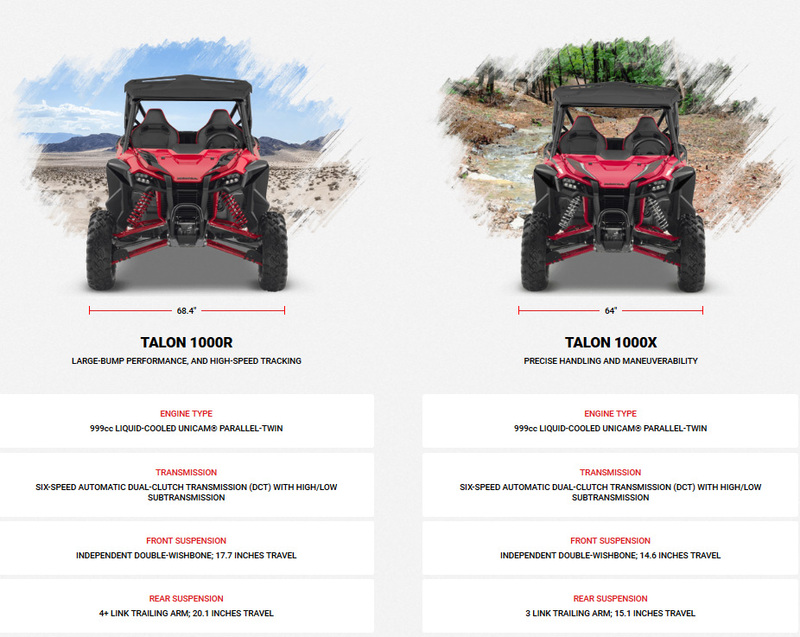 he Talon”s six-speed DCT offers two fully automatic modes, Drive and Sport. 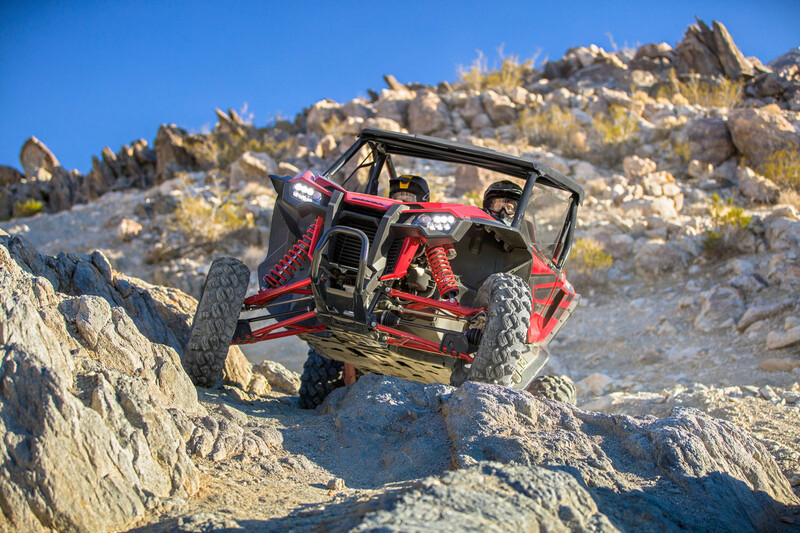 The former allows the engine to operate at a lower rpm, for relaxed driving or in situations where reducing load on the drivetrain results in smoother driving over rough terrain, and the latter holds gears longer, shifting up or down at higher rpm for more aggressive driving. There”s also a Manual mode that gives the driver full control over the transmission, enabling him or her to change gears up or down via a pair of easily reachable, steering-wheel-mounted paddles, for heads-up driving. Even when driving in either of the two automatic modes, the system can be overridden via use of these paddles, with the transmission returning to automatic mode several seconds after each shift. 1545 pounds for 49 states – Includes all standard equipment, required fluids and full tank of fuel. 1548 pounds for CA models – Includes all standard equipment, required fluids and full tank of fuel.